Gertsch is a test equipment manufacturer that once operated under the umbrella company Eaton Corporation. Eaton acquired and distributed product lines from Singer, Gertsch, AILTech, and Cutler-Hammer for several years. In 1991, TEGAM Inc. acquired the synchro-resolver standard, transform, and phase angle voltmeter product lines from Eaton, including the Gertsch products. Today, the TEGAM brand specializes in the design and manufacture of many different test and measurement instruments. Gertsch products now have the TEGAM name. 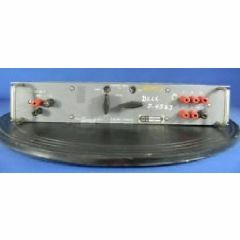 Consumers can still purchase used and refurbished Gertsch test equipment, such as the Gertsch synchro standard device, at resale stores such as ValueTronics.com.